Multiple Sizes Available. Rosettes are one of the most common architecturally used details in classic design. Rosettes come in every size and shape imaginable. They are used extensively for cabinet and furniture design to ceilings, walls, floors and even outside for all exterior décor. 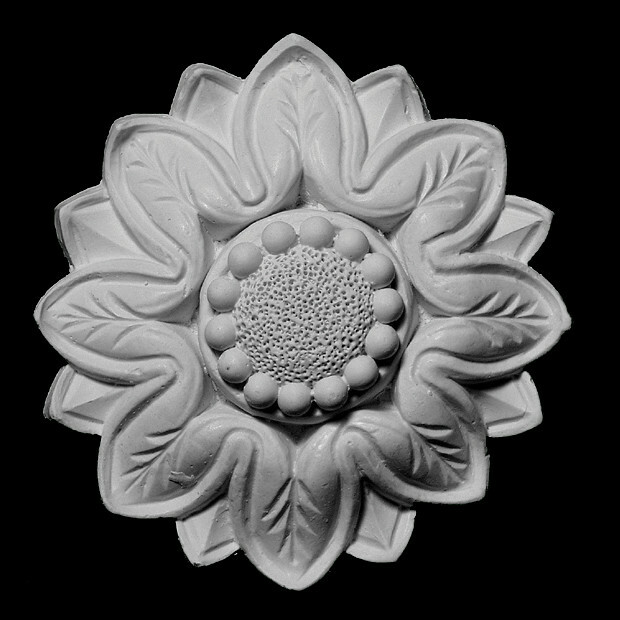 Pearlworks have hundreds of designs and concepts in the use of rosettes. Our website has a large selection of concepts to help and see how these wonderful pieces can be used.